Who are — and who were — the Horadrim? Where did this secretive order of Mages come from, and where did they go? Why did their numbers dwindle to the point where one man could call himself the last of the Horadrim and be correct? And how did a new order arise? To answer these and other questions, we must look at the history of Sanctuary and the Prime Evils, for the Horadrim were created in response to the Dark Exile, in an attempt to save their world from Hell itself. To briefly recap the Sin War, the renegade angel Inarius and demoness Lillith used the power of the Worldstone to create a realm to hide from the Eternal Conflict, and they and their followers eventually produced offspring who were equally demonic and angelic. Terrified by the potential power of these beings, which were called Nephalem by their sires and dams, Inarius used the Worldstone to limit their power and essentially created frail, mortal humans out of these potentially godlike beings. Eventually Heaven and Hell found Sanctuary, Inarius was punished for his crimes, the Angiris Council voted to spare humanity (by one vote) and negotiated with the demons to declare Sanctuary off limits to both sides in the Eternal Conflict. Now, angels are many things. What they aren’t is stupid — Heaven knew the Hells couldn’t be trusted and would break any pact as soon as it suited them to do so. And so, somewhat covertly, Tyrael (the Archangel of Justice, the one who’d broken the tie and voted to spare humanity) began to take steps. When the Prime Evils orchestrated the war in Hell that led to their defeat and exile to Sanctuary, Tyrael recognized that this was merely a gambit, a means for these three astonishingly powerful and corrupt beings to walk the face of Sanctuary and work their will unopposed. Humanity still contained the potential for power on a scale that dwarfed either of their parent races, even if it was held in check by the Anu-born might of the Worldstone. If the Prime Evils were free to corrupt souls in Sanctuary without reprisal, the Eternal Conflict may end up tipping towards Hell. And that couldn’t be allowed. 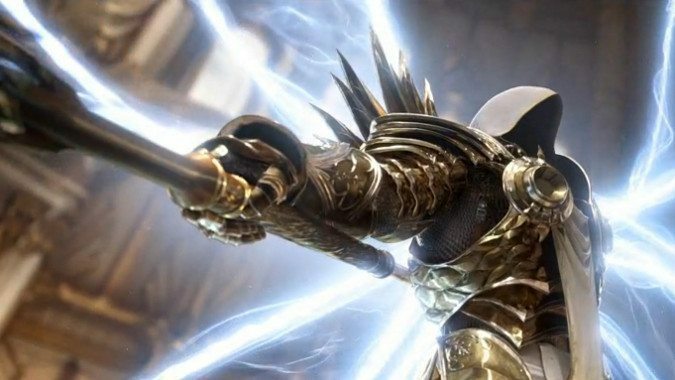 Cosmic events happen on their own timetable, and it took Tyrael many years to discover the Prime Evils were loose upon Sanctuary, time they used to corrupt many. Knowing that the Angiris Council were likely to decide to destroy Sanctuary rather than let Mephisto, Baal and Diablo corrupt it, he chose not to inform his brethren of what was transpiring. Instead, he decided to intervene, because he believed that the three had made a critical error in coming to Sanctuary. They’d entered a realm ruled by the original power of its creation. The same power which suffuses the Worldstone could be used to not just suppress the Nephalem — it could be used to bind the Prime Evils themselves. Taking three shards from the Worldstone, Tyrael fashioned what he called Soulstones — eternal prisons each designed to hold a demonic soul for all eternity. Slaying an angel or demon doesn’t actually kill them — their natures return to the Crystal Arch or the Pit to be reborn, which meant slaying any of the Primes would just let them return to their own realms and plot anew. 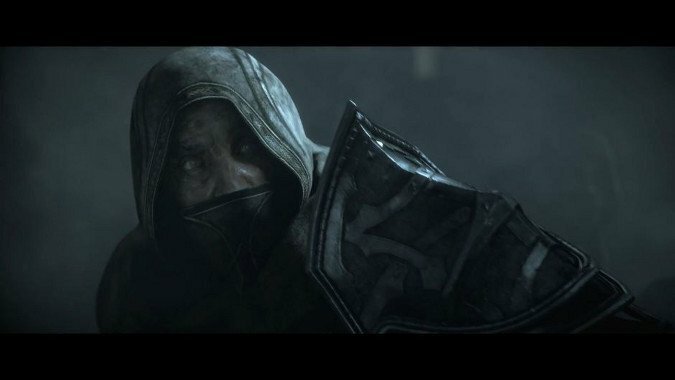 Tyrael then searched the world for wizards and mages, wonder workers who he could trust to achieve his ends. He wasn’t necessarily looking for the smartest ones, or the best weavers of magic — he needed determination, will, the ability to persevere throughout the most difficult task imaginable. These men and women would be charged with hunting down and capturing the three Prime Evils, and then watching their imprisonment for generations to come. Of these early Horadrim we know legends. The Order was at first entrusted to Tal Rasha. 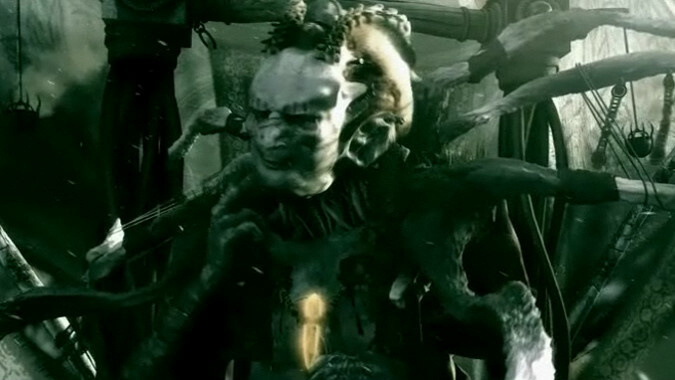 The most skilled of their number, Zoltun Kulle, was entrusted with the Soulstones by Tyrael, because of his clever mind and his facility with their use. The Horadrim fought Mephisto first in Kehjistan, and while they captured him, many innocents died because Mephisto had been residing in a city at the time. 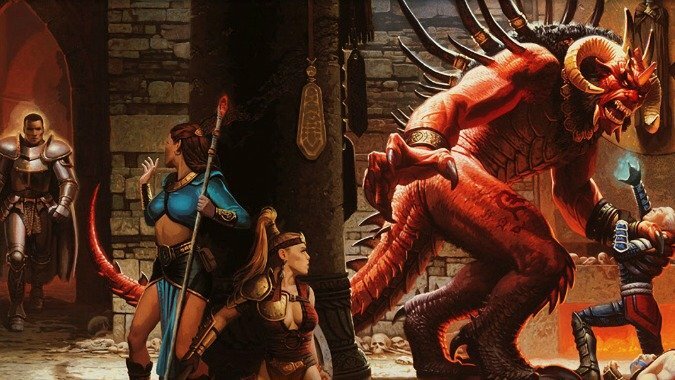 The Horadrim under Tal Rasha then proposed to take pains to not give battle to a Prime Evil within a city again, but they did capture the Lord of Hatred and bind him within a Soulstone. This soulstone was given to the growing Zakarum priesthood to watch over from within the Guardian Tower, built especially to house the Soulstone. This success heartened the group, who then tracked down and did battle with Baal, the Lord of Destruction. After initially hiding within the city of Lut Gholein for several days (Tal Rasha would not allow the Horadrim to fight him in the city, fearing a repeat of the death toll at Mephisto’s capture) Baal struck out to escape through the desert to the north. But the Horadrim were not balked, and engaged the Prime Evil in a battle that led, ultimately, to the destruction of the Soulstone meant to confine him. Some blamed Kulle for this, saying that his obsession with studying the stones meant that he hesitated in its use, others claimed merely that Baal struck the stone with his destructive power. But Tal Rasha, after managing to defeat the demon lord, hit upon a solution. He used the fragments of the Soulstone to confine Baal, and then to keep the Soulstone fragments from failing had them embedded in his own flesh, transforming himself into the prison for the Lord of Destruction. This would end up costing him dearly more than 200 years later, when Baal had utterly infested his body and wore his face as a mask. Jered Cain (ancestor of Deckard) took over the reins of the Horadrim and continued their mission, spending the next decade on the hunt. 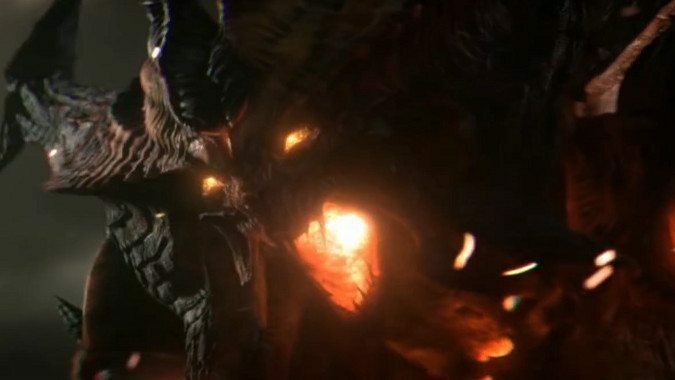 Eventually Diablo was run to ground and a fearsome battle took place, only ending with the confinement of the Lord of Terror in the last remaining Soulstone. Cain then led the Horadrim to the land of Khanduras, then a mostly unsettled land, and entombed Diablo’s Soulstone in a series of caves, upon which he built a monastery where the Horadrim could monitor the Prime Evil. With the Zakarum guarding Mephisto, Tal Rasha forever contending with Baal, and Diablo buried beneath the Horadrim’s own monastery, Sanctuary seemed to be safe. And that safety, rather than the dangerous hunt for pure evil, is what ultimately proved to be the Horadrim’s undoing. First they had to contend with their former brother Zoltun Kulle, who abandoned the Horadrim in a quest to create a Soulstone of his own, an improvement on the ones Tyrael had fashioned, which he would dub The Black Soulstone. For this, and for his general loss of empathy that led him to take any risks (and perhaps out of a sense of Kulle’s role in Tal Rasha’s fate) the Horadrim hunted Kulle, and eventually struck him down. After this, the order waned. Over hundreds of years there were fewer and fewer sightings of the Horadrim. Some argued they’d left for Mount Arreat, amid rumors of a special magical cube created before the Horadric Cube used in later years. Others said they simply flagged — there were no more evils to fight, and so there was no need for the Horadrim to fight them. Whatever the truth, 200 years after the fall of Diablo, the Prime Evil began to rise again, and when he did he found only Deckard Cain, son of Aderes, left of the Horadrim. Still, Cain managed (by advising a series of heroic adventurers) to help stop the Prime Evils. Upon Cain’s death, the former Archangel Tyrael founded a new order, for he foresaw that the Hells were not yet done with Sanctuary. Thus were the Horadrim reborn.